This church is situated on Main Street, Tobermory, overlooking the harbour. It was built in 1910 and is constructed from Ross of Mull granite. Following the union of the majority of Free Churches with other splintered Presbyterian Churches in 1900, the United Free Church of Scotland was formed. 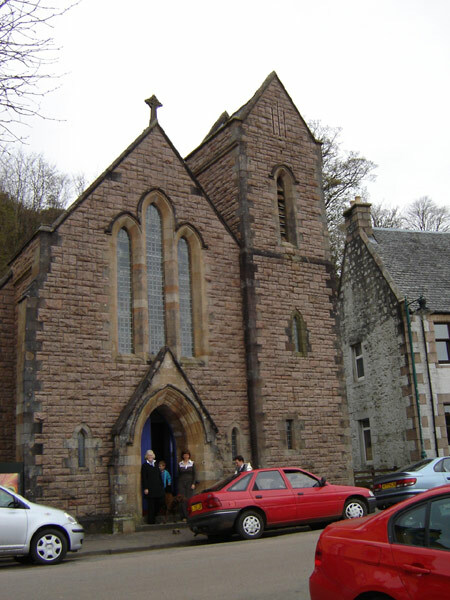 The first services were held in a cottage near the Western Isles Hotel. Money was then raised by holding a great Bazaar, and the church was built on the land of a former dwelling house in an imposing position on the harbour front, not far from the Free Church, which is now ‘The Gallery’. The Church, was known as St Mary’s. J MacDougall from Oban was the contractor. In 1929 the United Free Church was united with the Church of Scotland and, thus, became amalgamated with the Parish Church. Numbers dwindled over the years, so that it was converted into a knitwear factory in 1953. However, in 1964 it was bought back by the Free Church when they sold the larger ‘gallery’ building. In 1994 it was finally taken over by the Evangelical Church, again because of falling numbers, which rendered it no longer viable for the Free Church to keep open. Services are held on Sundays at 11 am.